Today, you are a member of... What You Got - You Are A Member! 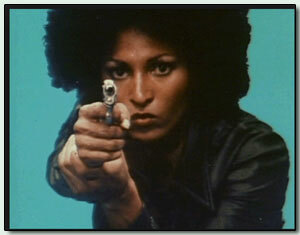 We all have creative places to keep things, Members, though none may be as dramatic as Foxy Brown’s film-fantastic, gun-from-the-afro move, which had its premiere today back in 1974. And though this week, you don’t have to go so far as hiding hardware on your head, you will benefit from harboring a few or two surprises for those that got you underestimated. So whether you shoot from just behind the ear or bust out your blackbelt in barstools, be sure to show ’em what you got.